Catching that first glimpse of your new cricket bat is something you never quite forget. 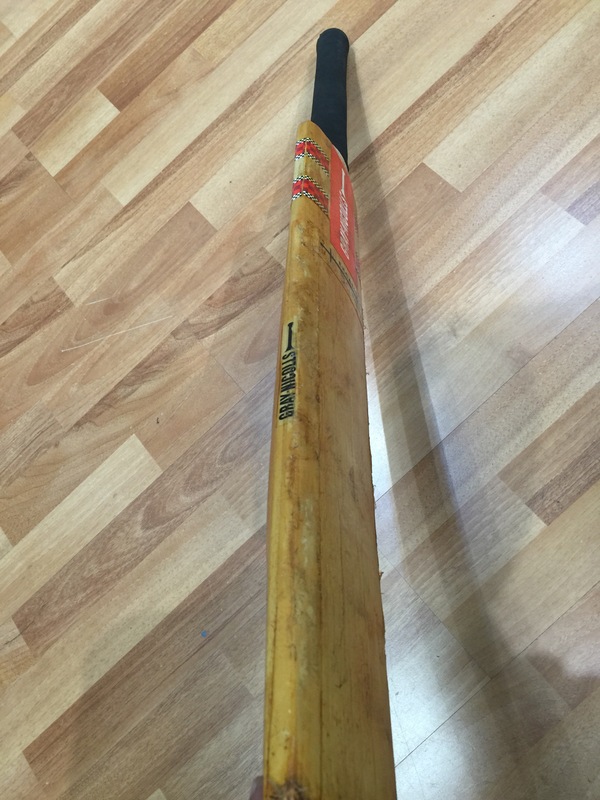 I remember my first proper cricket bat being a size 4 Duncan Fearnley Polyplastic that had been specially made for me, by virtue of my father being such a good customer of Fearnley’s. I even had a sticker attached to the bat confirming that this bat had been specially made for me. I remember knocking it in really well before taking it to school for our first game of the season on a sunny Thursday afternoon way back in 1979. It’s a memory that will stay with me forever and even though I have had many bats since then, that one is the one that will always think of first, as that’s when I was told all about preparing and then looking after your bat. Classic bat shapes from a bat that has been well maintained and looked after. Bats profiles may have changed considerably since the 70’s but the principles of bat preperation remain the same. Linseed oil, a knocking in mallet, strong arms and some ear plugs for the rest of the family!! The knocking in process is never really over done, as the more you prepare, the better prepared your bat will be. However it must still be done properly. The correct amount of linseed oil should be applied and to the correct areas of the bat. Then the knocking in mallet should be used properly. We’ve seen too many bats that have been hit too hard and have damaged the bat, as well as those that’s have been hit too softly. So let’s assume your bat has been prepared and knocked in perfectly. Does this mean peace and harmony forever? The simple answer is no. All bats are expected to crack from the start and these cracks may well start to appear during the knocking in process, with thin cracks along the grains as well across the grains. So as we expect to see cracks along the grains as well as across, this then brings about another discussion of how many grains are good and how many could we say is too many? Well this is a whole new topic and argument, but let’s just say that when I see certain retailers jumping up and down when they have a top end premium grade one willow bat with 25 grains, well that’s when I know they really don’t know their stuff! So getting back to our topic, you should expect to see cracks on your bat and these can appear from the very first ball and if the ball has not been middled this may well look pretty ugly, even if it has been full knocked in. Such ugly cracks usually appear when the batsmen has played off centre shots and basically mistimed or mishit the ball. When we see the top international players on TV they make it all look so simple. They time the ball to perfection and it’s perfectly middled too. With us mortals however it’s not so easy and with all the will and want in the world, such batting finesse is missing from most of us and that’s when we need to admit the damage on our bat is our fault and not down to the bat being “from a bad batch”. If the bat breaks or develops a really big crack then yes, it probably is a fault and the manufacturers guarantee comes into play, but hitting the ball on the toe or edge may develop an unsightly crack which will usually only be a superficial crack that will almost completely disappear by using some very fine sandpaper. The willow on your bat is made up of thousands of layers so any crack will only affect some of the layers at the top. Some gentle sanding for around 20 seconds and you will soon see those cracks disappear and realise that the manufacture has not made a faulty bat. All the top bat manufacturers say that a bat is designed primarily to be played with the middle and that the edges and toe areas and more delicate and therefore more prone to damage. Constant hitting in such delicate areas will damage a bat and the batsmen must accept a degree of responsibility for such damage. We highly recommend all new bats are fitted with an anti scuff sheet, a toe guard as well as fibreglass tape to the edges. 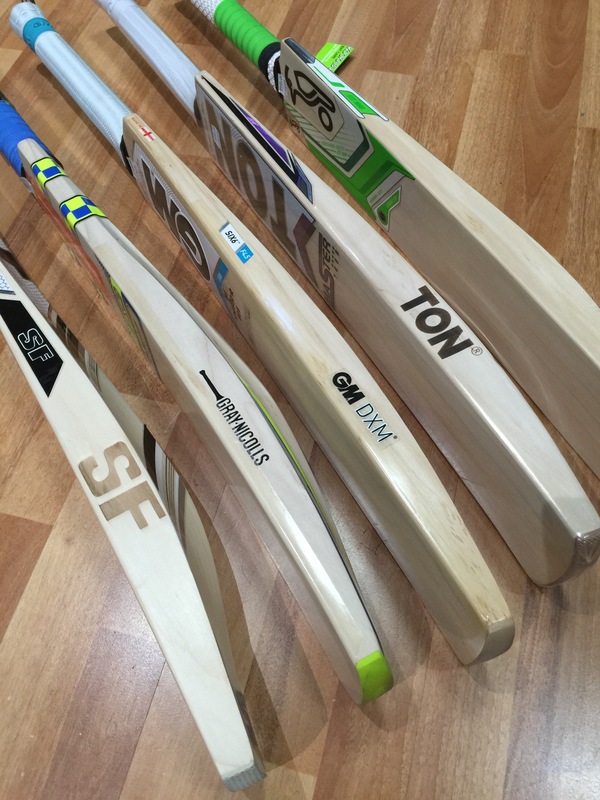 All of these will help prolong the life of your cricket bat. So just to conclude, all bats will crack and usually that is a very good sign as it means that bat is not too hard and what some regard as a plank of wood. So if your bat shows some signs of cracking immediately don’t be alarmed as this is very normal. 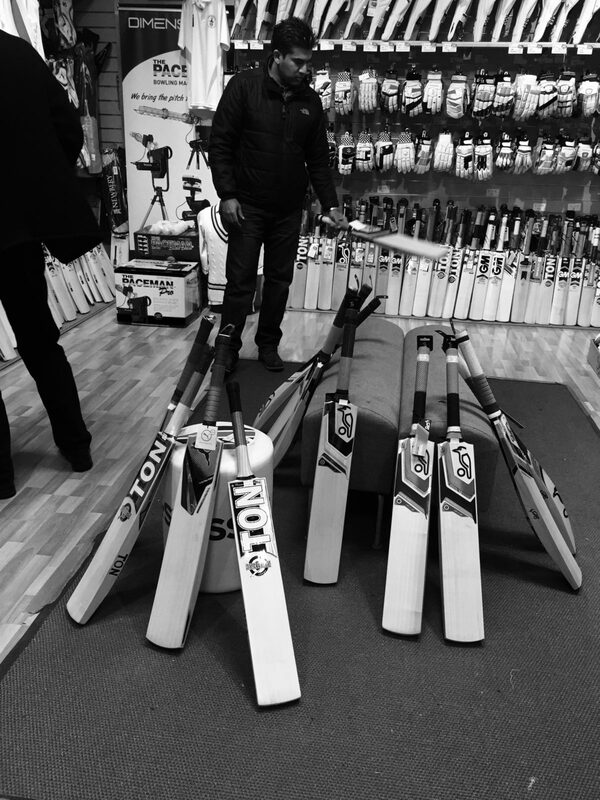 All the bats we we stock are made for English conditions and this also relates to the cricket balls we sell. Most cricket bat damage is caused becuse cheap quality balls that are too hard are used. 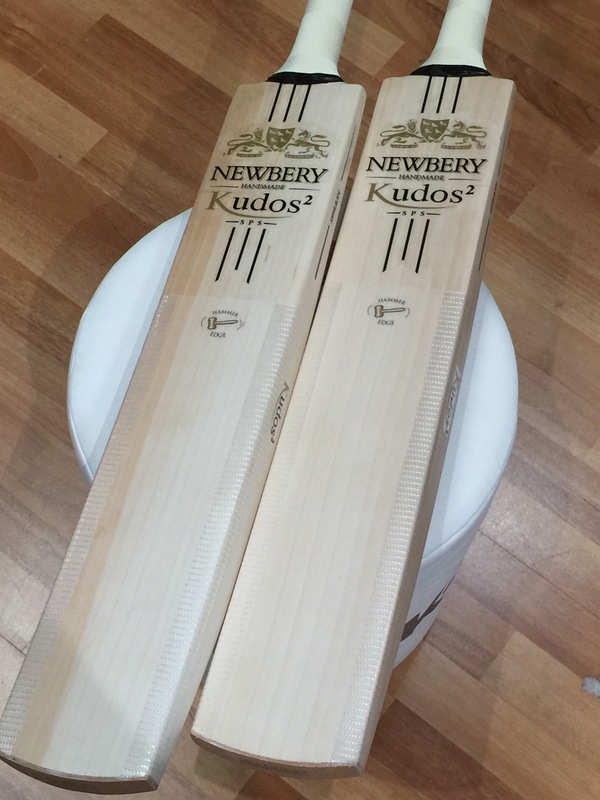 You have spent hundreds of pounds in your bat an then invested hours of your time in its preparation…don’t allow someone to use a ball that cost a few pounds and that will ultimately damage your bat. This may well include your highly reputable cricket club. 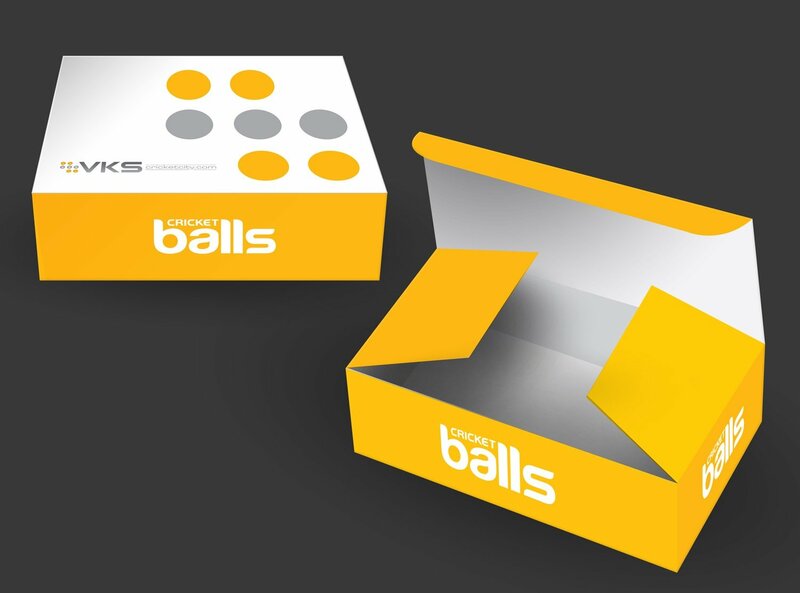 A cricket ball is going to be used by numerous people all day along, divide the cost and do the maths if it makes sense to allocate just a few pounds in a ball that will damage your cricket bat.